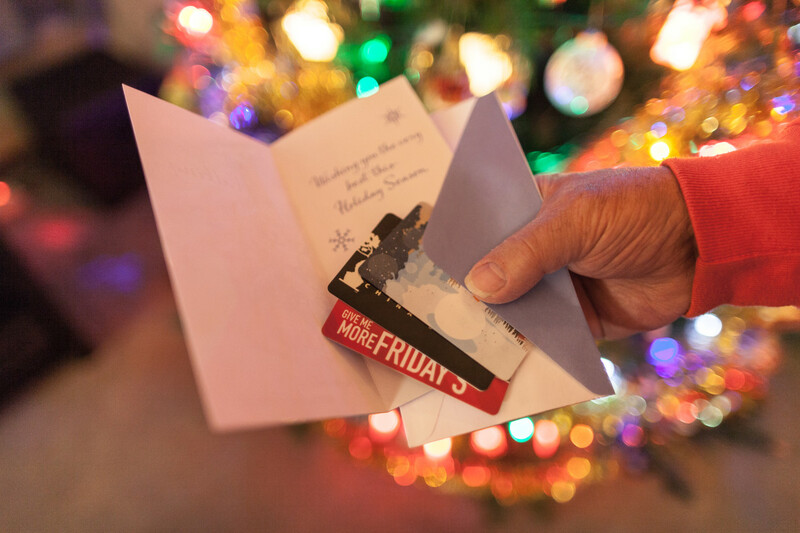 The senior on your gift list may already have what they want. 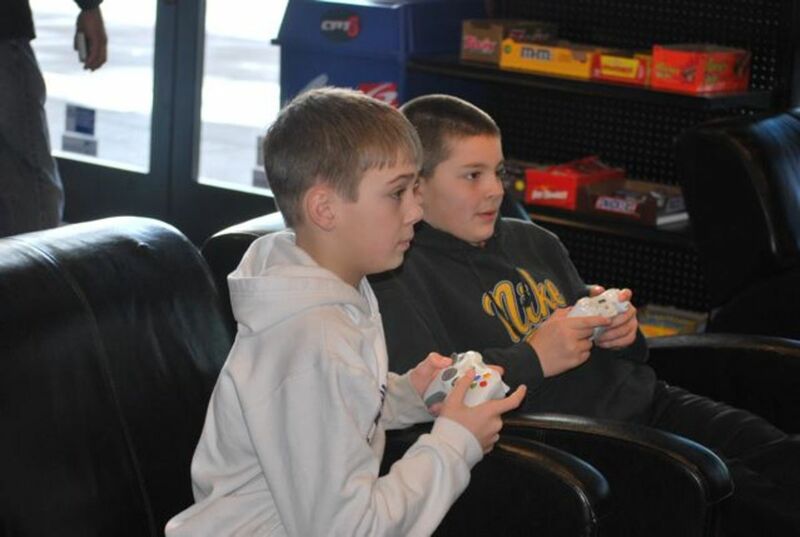 Consider giving them a hobby basket, loaded with what they need for their favorite pastime. Coming up with gift ideas for grandparents or elderly parents can be a real headache for many people. Most grandparents have more stuff than they could possibly ever use. There is nothing they need and very little they want. So, what do you give someone who has almost everything, and their house is already full of family photos, albums, personalized mugs, slippers and bath oils? 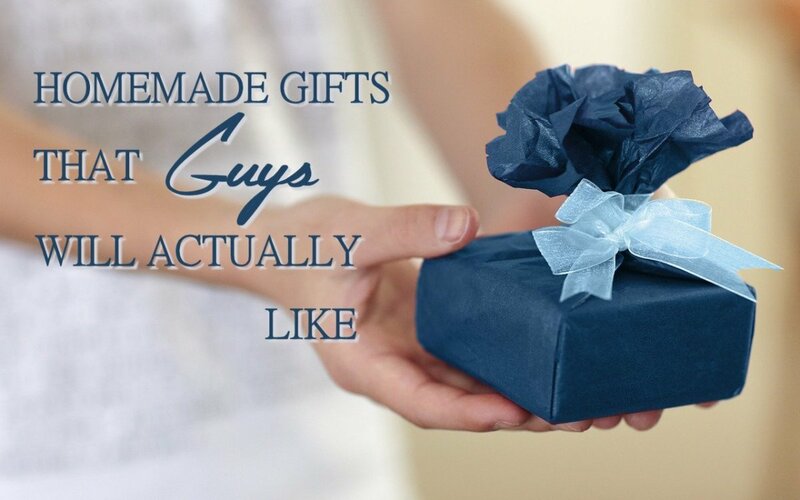 Here are some gift giving suggestions to get you started. 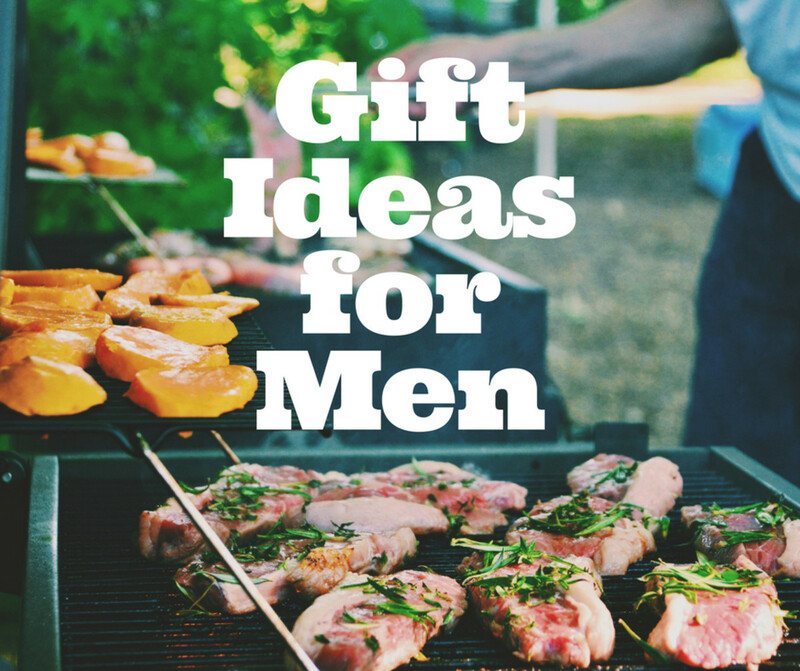 Those gift ideas are perfect for any occasion. 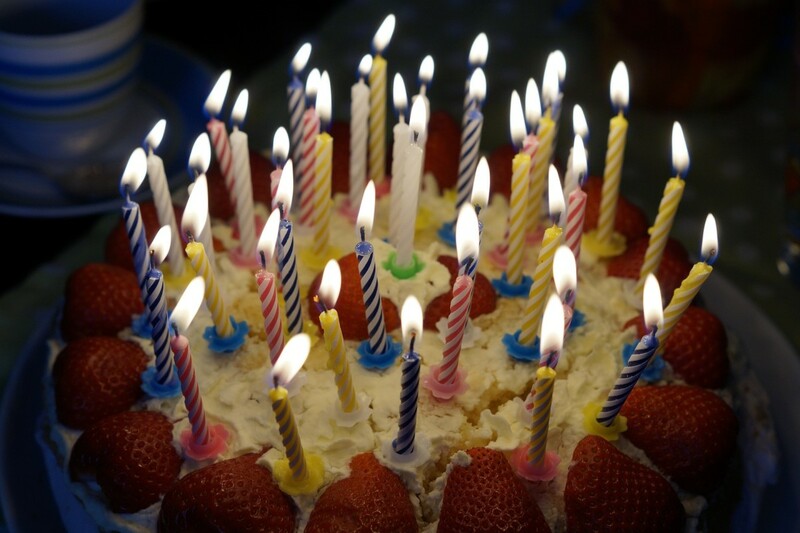 Independence is a thing that seniors – and everyone, for that matter – really tend to value very highly. Maintaining independence promotes a sense of achievement that for many old people generates a great sense of self-worth and well-being. 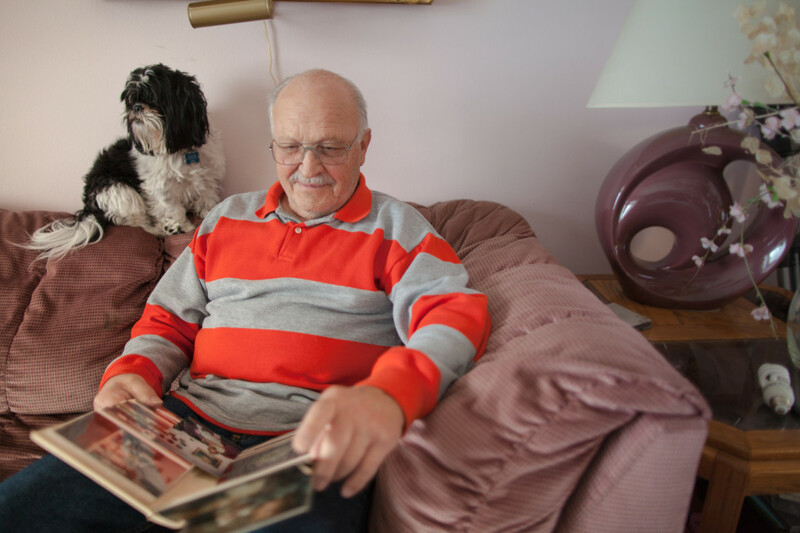 The key to maintaining a senior's independence is to keep them safe and one of the basic areas of safety is their home. This makes assistive devices very good gift ideas. Bathtub grips provide a sense of security when using the shower. For seniors who have difficulty bending or limited mobility due to an injury, the bathroom is probably the most dangerous room of the house. Bathroom accessories, like bathtub grips, can provide a sense of security when using the shower and would be really appreciated. Make sure to offer to help install these handles for them. There are several types of grips you can get, but probably some of the best ones are those that lock over the side of the bathtub. Unlike other grab bars that use suction cups for attachment, the ones that clamp into the bathtub wall will not slip out of position. 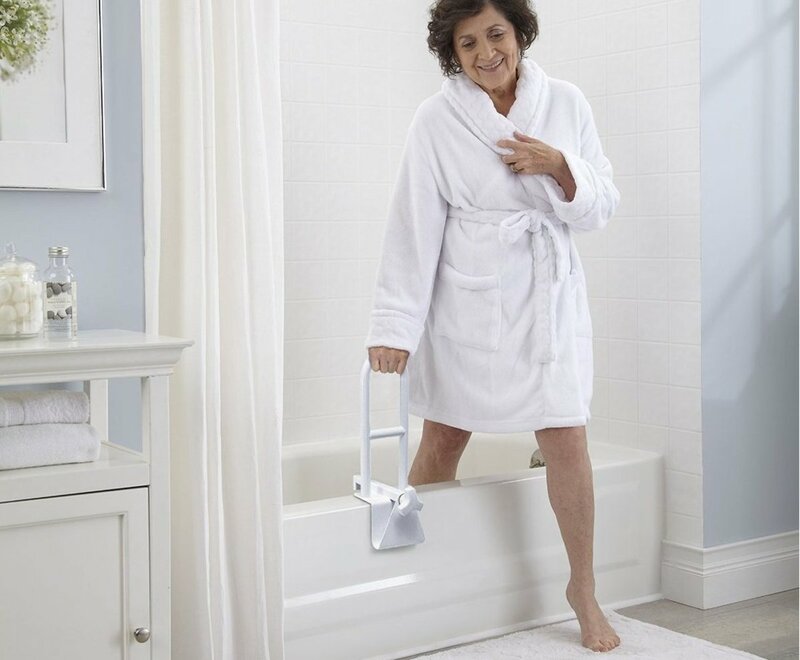 The bathtub grab bar from Mediline, for example, has a padded cushion, so it can be tightened very firmly, and will not scratch or chip even tubs made from fiberglass. Although it looks like it is made from plastic – it is not. It is made from sturdy metal and can support up to 250 lbs. Because of its compact size and the way it installs, seniors can even travel with it. The surface of an induction cooktop stays cool to the touch, making it safer for a senior than other cooktops. While the kitchen is often referred to as the "heart of the house," it can be a very dangerous place for our aging loved–ones. While cooking fires happen to all people of all ages, older adults have a higher risk of injury from these, in part, due to the fact that their responses and physical abilities diminish as they grow older. In fact, according to the Federal Emergency Management Agency (FEMA), people over the age of 65 have a 2.5 times greater risk of dying in a kitchen fire than the general population. Cooktops and ranges are most frequently implicated in kitchen accidents. Elderly people are more likely to forget to turn burners off after removing pans, leave food unattended on the burner or lose track of cooking times. Others that have arthritis or Parkinson's disease can easily spill food and ignite a fire. This makes an induction cooktop another practical gift idea for seniors who say they don’t want anything. The elderly or disabled will really appreciate the safety factor of induction cooking since there are no open flames and nothing will catch on fire. 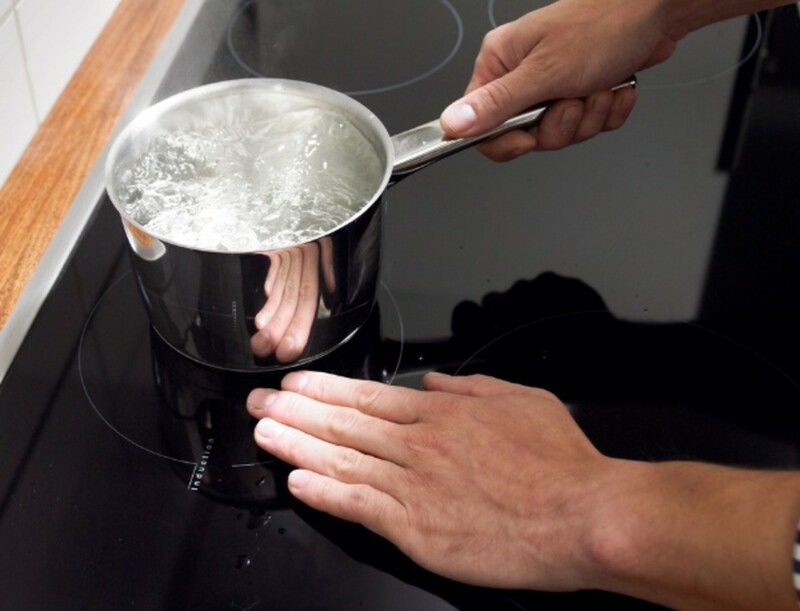 With induction cooking there is no direct heating of the cooktop surface. Only the pot gets hot, so spilled food will never burn. This also makes it very easy to clean. Another big plus – these cooktops cook faster than gas and electric cooktops, which saves energy and money. 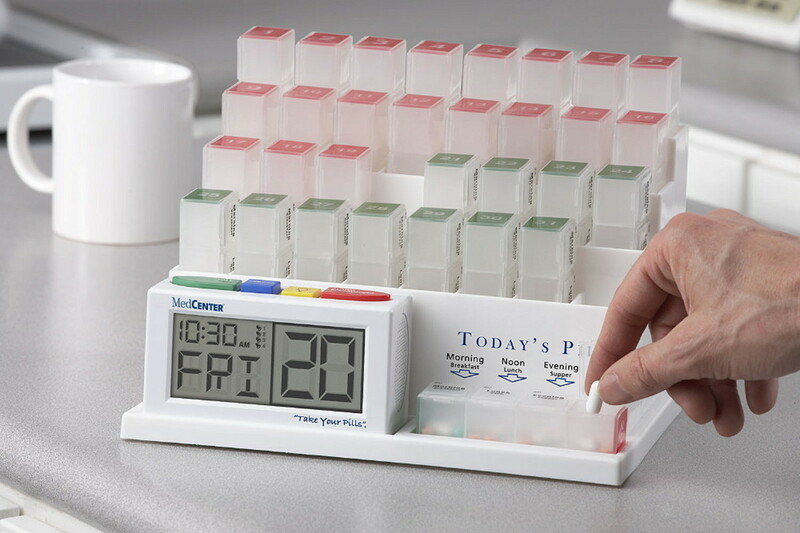 A pill organizer can simplify medication management, giving peace of mind and maximizing independence. An inexpensive way to help an older person remain healthy and independent is to support them in taking their medication every day. Managing medications can be a challenge for many old people, especially when certain prescriptions must be taken at specific times during the day. This task can be even more daunting for people with multiple diseases who often end up taking multiple medications at the same time. The more drugs they use, the more likely they are not to remember to take them. One gift that can help simplify medication management, giving peace of mind and maximizing independence, is a pill organizer. They come in a variety of styles, from daily to monthly storage options, and variety of sizes. Ask your elderly parents or find out how many pills they need to take and look for an organizer that has compartments big enough for them. Also, find a pill organizer that is easy to open, because many older people struggle with so-called "child proof" tops. The MedCenter 31 Day Pill Organizer is a great option, because you need to set it up for them only once a month. It can also be combined with a reminder system, to make sure your older parents are taking their pills on time. The reminder system is a talking alarm clock that is easy to read even with impaired eyesight and easy to hear even with hearing problems. It also gives people, whose memories may not be what they used to be, useful reminders of what date and day of the week is. Seniors can make their grocery lists by talking to the gadget. The gadget will then sort the items into separate categories and print the list on paper. 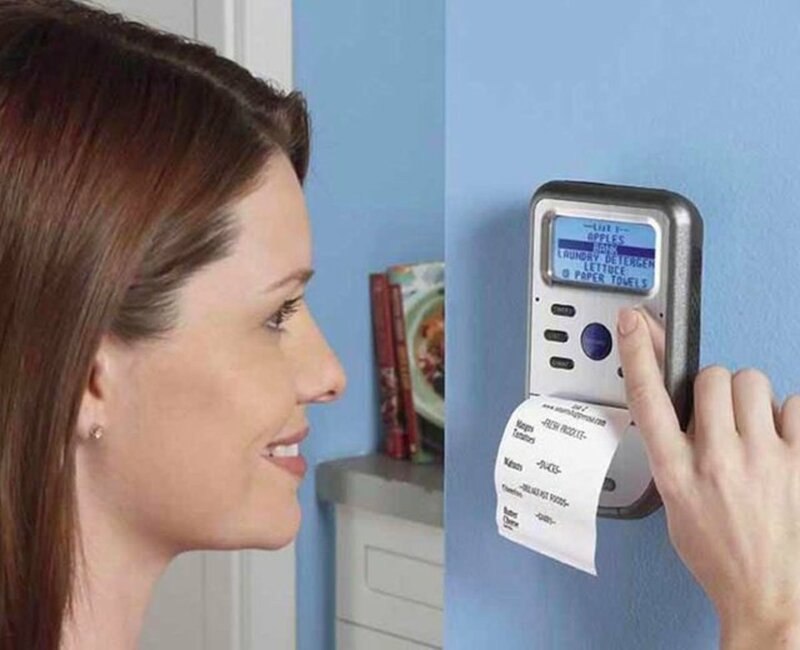 An interesting gift option for elderly people who have everything is a voice-activated grocery and errand list organizer. Sometimes people forget things, like what they wanted to buy from the store, end up with a diet that resembles the worst of hospital food – microwave meals and frozen foods. An organizer like that can be very helpful. The Smart Shopper Grocery List Organizer is a device that records your items, sorts them into separate categories and then prints a paper list that you take with you to the store. A person simply has to press a button and say what they need to purchase. The sorting option can be very useful for seniors, because everything they need from each area in the grocery store will be grouped together and they won’t need to aimlessly wander the isles to find an item. Another handy feature is its magnetic back, which allows to keep the organizer on the fridge door. The device has almost 2500 items in its database, but there are not all just grocery items. There are many errand items such as: Gas Station, Pay Bills, Dentist, FedEx, etc. Older people can receive e-mails and photos from family and friends without using a computer. Staying in touch is easier than ever nowadays, but because many people are so wrapped up in work and family demands, they don’t always take the time to stay in touch with the elderly who don’t use computers and social media. Talking or writing to elderly parents or grandparents on a regular basis is important for their emotional health. Feeling alone and isolated can increase their risk of depression and anxiety. This is especially true for seniors who may be dealing with various health issues or have physical challenges. 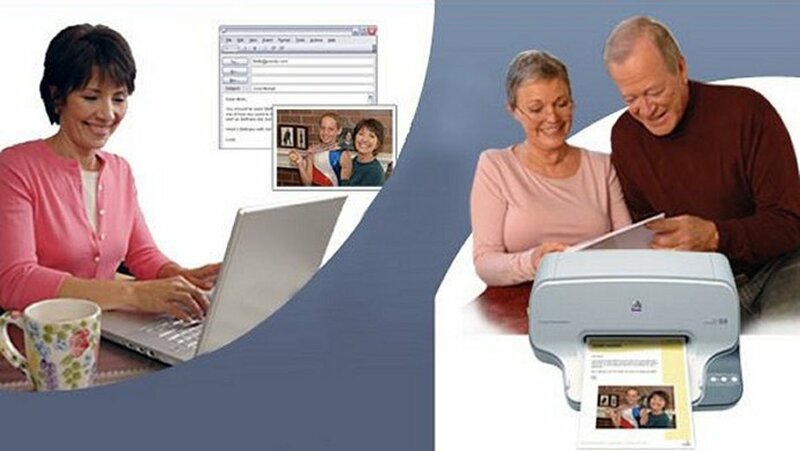 An awesome gift idea for elderly parents who live away from their children, don’t use computers and have no desire to deal with computers is an Email printing service, such as Presto Printing Mailbox. It is a reasonably priced subscription service that comes with a printer, which works without a computer. You need to set up an account, plug the printer into a phone outlet and it prints Emails and photos from pre-approved senders, without the receiver being online. Your parents or grandparents will not be able to respond to these mails, but at least they will be “on the mail loop” from which they frequently feel left out. To make things even easier for seniors, the account can be managed online by a relative or friend. Another nice thing about the Presto service is that includes optional free subscriptions to various articles, crossword puzzles and recipes, which print out in addition to the emails. People living in retirement homes, for example, would really enjoy this feature. 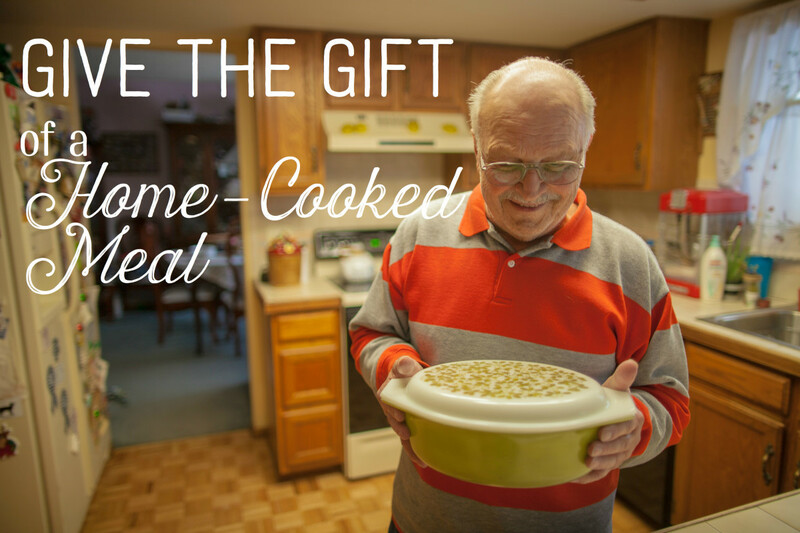 A favorite casserole can be frozen until it's needed a makes a perfect gift. Home-cooked meals are so appreciated by older people who live alone or in an assisted living facility. Prepare several of their favorite meals and freeze them in portions so they can take them out easily and only have to re-heat them. If your grandparents live relatively close to you, you can make a gift certificate inviting them for one dinner a month at your home for a year. Offer to pick them up and drive them home, too! Sleep sound machines play calming sounds that help elderly people with sleep issues fall asleep faster. Quality sleep plays a vital role in good health and well-being. In fact, sleep is as essential as food, and creating healthy sleeping patterns is just as important as eating right. Unfortunately, some of the most common problems the older generation experience are insomnia and sleep issues. 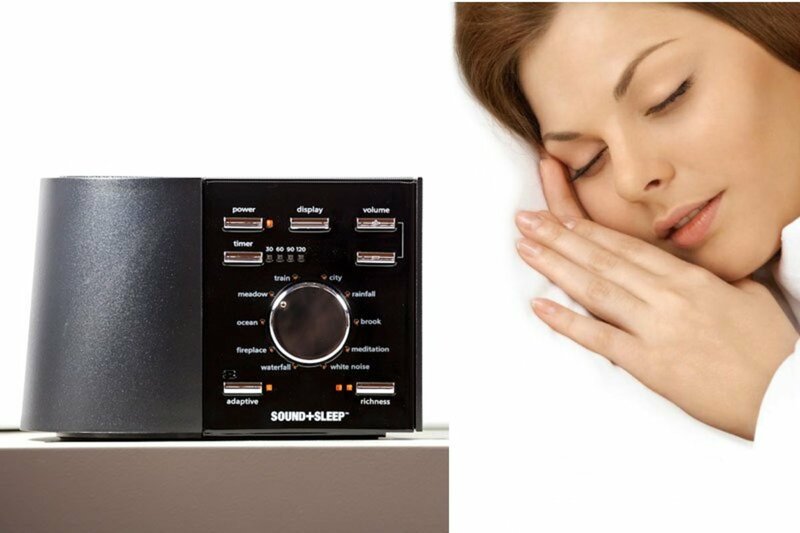 An awesome gift that can help them deal with sleep disorders is a Sleep Sound Machine. Those machines play calming nature sounds that help people fall asleep faster, relax, or just block out distracting noises. Since audio quality is very important part of masking distracting sounds, it is better to get a sleep machine with really good speakers. One such machine is Ecotones Sleep Therapy Machine. In fact, Ecotones has all of the features you could possibly want in a sound machine – 10 sound profiles, 3 “Richness” settings to control sounds, 2 operating modes (adaptive and manual), sleep timer and adaptive sound technology. This technology is actually what sets it apart from other sleep machines. What the adaptive sound refers to is the ability of the machine to continuously “listen” and adapt to the sounds in the room. It then plays a white noise audio, which masks the disturbing sounds. In other words, if all of the sudden your neighbor's dog decides to bark for an hour at the moon, the sleep machine will recognize this and automatically adjust its volume up to mask out the barking. This machine is also tiny and light, meaning that seniors can take it with them whenever they visit family or go on holidays. Light therapy lamps mimic natural outdoor light and can help boost the mood of elderly people who don’t get outside enough. Older people, and those who are homebound or bed-ridden, sometimes don't get outside enough and don’t get exposed to enough natural light, which can disrupt their sleep-wake cycle. 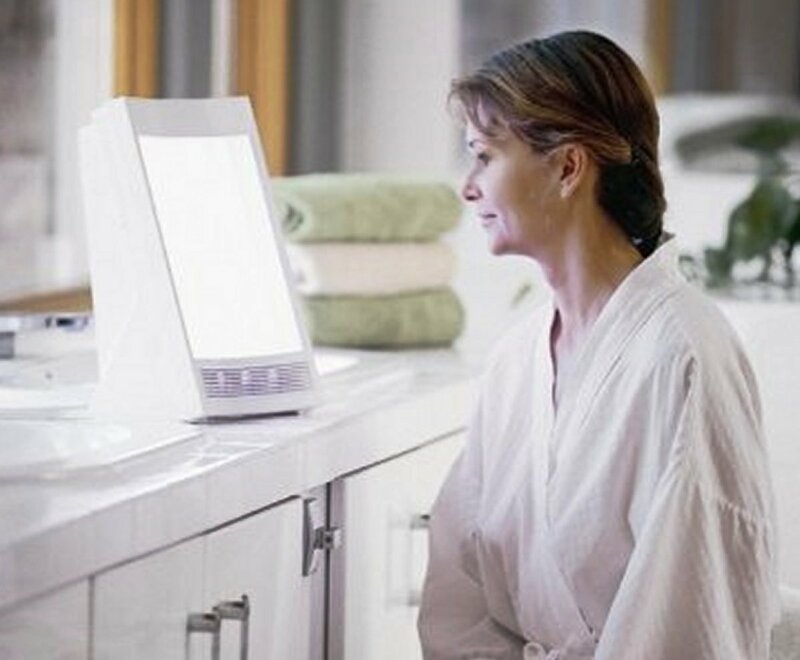 If you are looking for a good, useful gift for an elderly parent or grandparent like that, consider getting them a light therapy lamp, such as the SunTouch lamp from Nature Bright. These lamps mimic the brightness of the sun, stimulating the body's production of vitamin D, and thus, boosting mood and well-being. In a way, they work like antidepressants, but without the side effects of the medications. They can also help those who suffer from winter blues, which makes them great gifts for Christmas, too. When you look for a light therapy lamp, you need to make sure it emits 10,000 lux of light. “Lux” is a measurement of the intensity of light and 10,000 lux is the optimum light level that best mimics natural outdoor light. This means that it can be used for shorter time periods than a lamp that is not as bright. For comparison, the light on a typical, overcast day can be between 1,000 and 2,000 lux and on a very bright, sunny day – between 32,000 and 100,000 lux. If you find a product that offers intensities higher than 10,000 lux, you should know that intensities higher than 10,000 lux have not been studied for safety or efficacy. All of us would like to have our parents and grandparents around as long as we possibly can, so a healthy food delivery is another excellent gift choice. Sign your grandparents or elderly parents up for a Fruit Club of the month membership, for example, and every month they will receive a package of the best orchard-fresh fruit of each season. It will not only make you happy to know that they will have something healthy to eat delivered every month, but you will be amazed how much your grandmother or grandfather will love this gift idea. Depending on their tastes, you can also sign them up for a cheese, coffee or tea club of the month. Memory journals offer prompts in the form of questions to help make recording memories and experiences easy. The research involved in filling the journal can be fun itself and the result can be passed onto the next generation. Grandparents love to be sentimental and brag about their kids and grandkids, and when a holiday comes around, they often get overloaded with framed family photos and albums. Although seniors love receiving these photos, they probably have enough already and will enjoy getting a different sentimental gift. A nice way to express your love for them is to show interest in their life's journey. Give them a memory journal, for example. A memory journal is a book that contains all kind of memory-jogging questions about person’s life, and makes it easy for a senior to write his or her life story by answering those questions right in the book. This is a great way for them to record their life stories and pass them to the next generations. 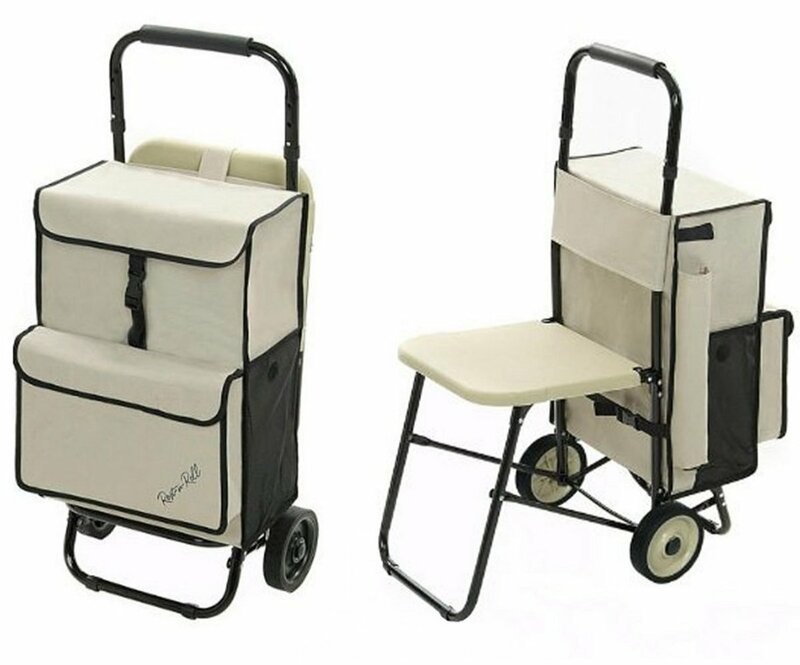 This cart has a sturdy, plastic seat that is more comfortable for seniors than seats made from fabric. Whether they are making a trip to the corner store, the farmers market, carrying stuff to friends' house or waiting in line at the pharmacy to fill a prescription, a senior will appreciate the convenience of a carrying cart with a built-in seat. Such cart would also be a very nice gift idea for anyone who lives in a crowded urban area and uses public transportation when grocery shopping or enjoys going to local street fairs or other events where seating is limited. There are many carts on the market, but Rest-n-Roll is probably the one that is best suited for seniors. The first feature that makes the difference is the built-in seat, which is made of plastic, not fabric, and it would be more comfortable for older people. It also has a rather large seating area for what it is – the seat is almost the size of a regular dining room chair. The second feature that makes this cart more senior-friendly is the large wheels. They are pretty solid and have a wide tread, so the cart rolls smoothly and effortlessly on gravel, grass, light snow and pavement cracks. This makes it easier for a senior to pull heavy objects on uneven surfaces. The frame of the cart is made of steel, not aluminum, which makes it sturdier than other carts. The main carry bag is spacious and even has built-in ventilation pockets. Massage pillows can make great gifts for older people who suffer from poor blood circulation, muscle pain or joint stiffness. Elderly people often suffer from a variety of age-related diseases such as arthritis, diabetes or heart disease. As a result, they have poor circulation and limited physical capability. Massage can help them relieve muscle pain, joint stiffness, poor blood circulation and even mental stress. If your elderly parents or grandparents suffer from back aches and neck pains, then a massage pillow would be an amazing gift for them. 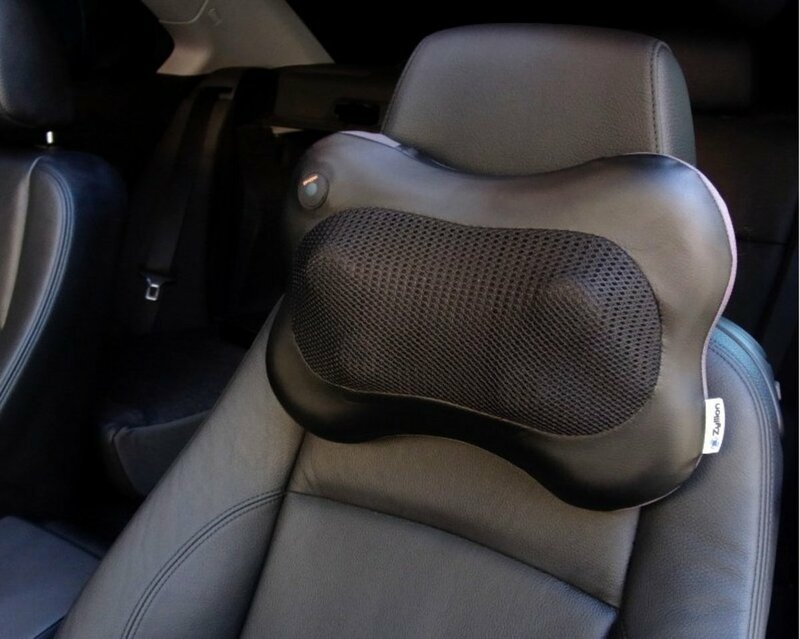 One massage pillow worth considering is the Zyllion ZMA-13-BK. This pillow reliefs pain using Shiatsu massage technique. Shiatsu (meaning “finger pressure”) is a form of massage that originated in Japan and applies gentle but firm pressure with the thumbs, hands, knees and elbows to different points on the body. The pillow uses 4 rotating balls to provide deep-kneading motion, and heating elements to relax the muscles even further. The rotating balls do a pretty good job of simulating the kneading fingers of a professional massage therapist. Because of its compact size, the massage pillow can apply concentrated pressure to specific areas of the body like the neck, shoulders, lower back, feet, calves etc., which are problematic areas for many people. Another excellent aspect of this massage pillow is its portability. It can be used almost anywhere – on different types of chairs, sofas and car seats. A basket with everything needed for a favorite hobby is fun to put together and a delight to receive. Many older people have hobbies they love. 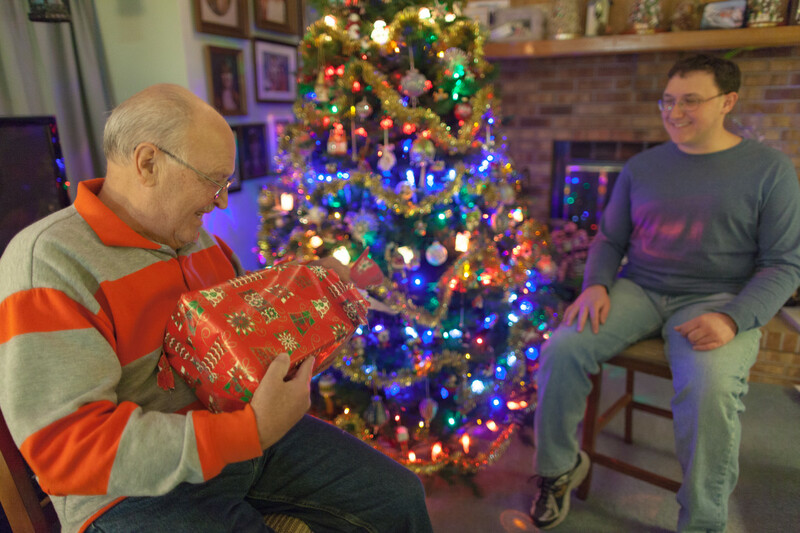 Do a little snooping to find out what the senior on your gift list enjoys making. You might find a gift idea or two. 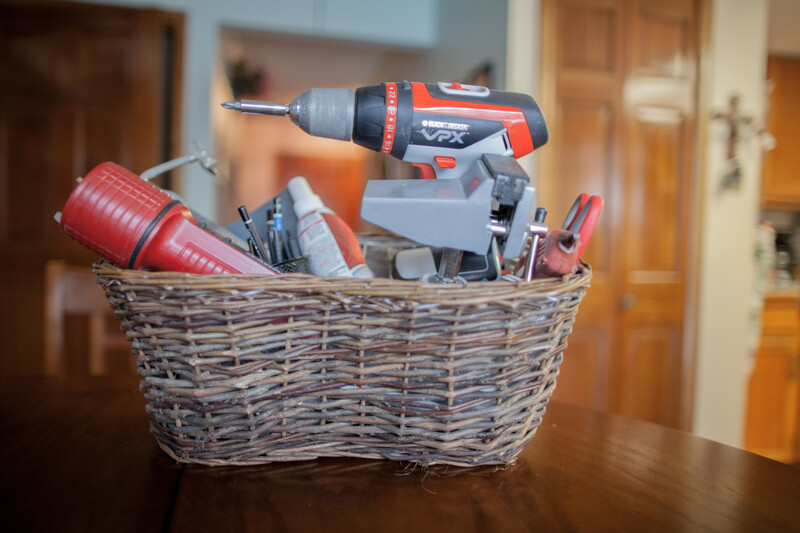 If grandma likes crafts, put together a nice gift basket with a hot glue gun, scissors, glue sticks, and other things that she can use in different projects. You can do the same for your grandpa and his favorite hobbies. If he is not really able to enjoy these hobbies anymore (like fishing or golfing), get him a subscription to a related magazine so he can read about them. Encouraging grandparents to take up new hobbies, or revisit old ones, can improve their quality of life. 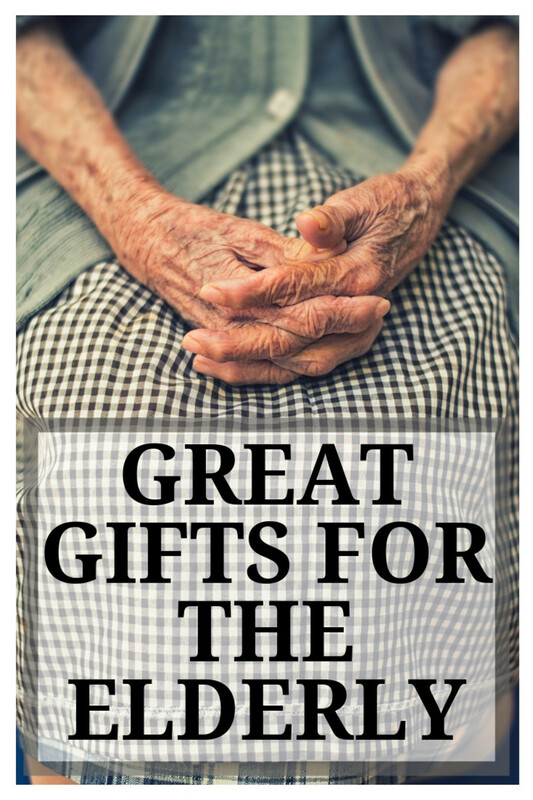 For those seniors who still have access to a vegetable or flower garden, yard or patio, useful gardening accessories can make fantastic gifts. 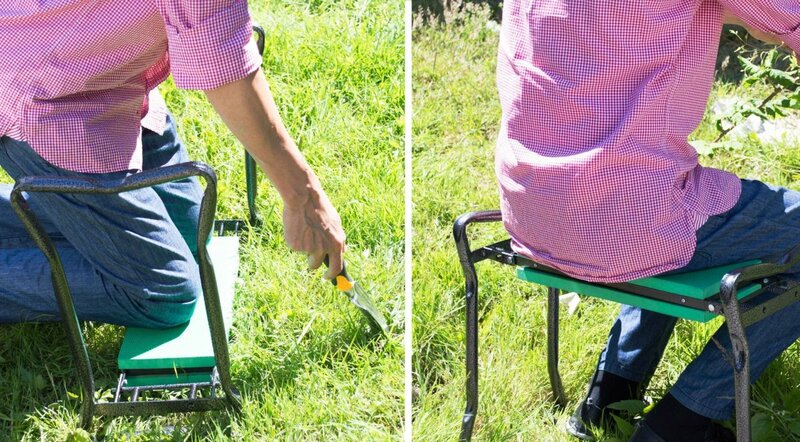 Garden kneelers can prevent knee-pain while weeding. Ergonomic gardening tools, including clippers, are easier for older hands to use. Comfortable gloves and garden clogs can extend the time spent in the garden. Lightweight hoses are easier to coil up and put away. Plant markers and packs of seeds are always appreciated! If your parents or grandparents are retired farmers, who always obsess over the weather because it dominates their livelihood, they will probably be happy to receive something useful, like a remote rain gauge, as a gift. It is a handy little unit that can help them with their garden irrigation needs without getting wet. This decorative, cast iron boot jack is much better than the lightweight wooden versions and it will also look nicer outside the door. A very simple gift, such as boot jack (or boot remover), can be really useful for gardeners, farmers and those who live in rural areas. 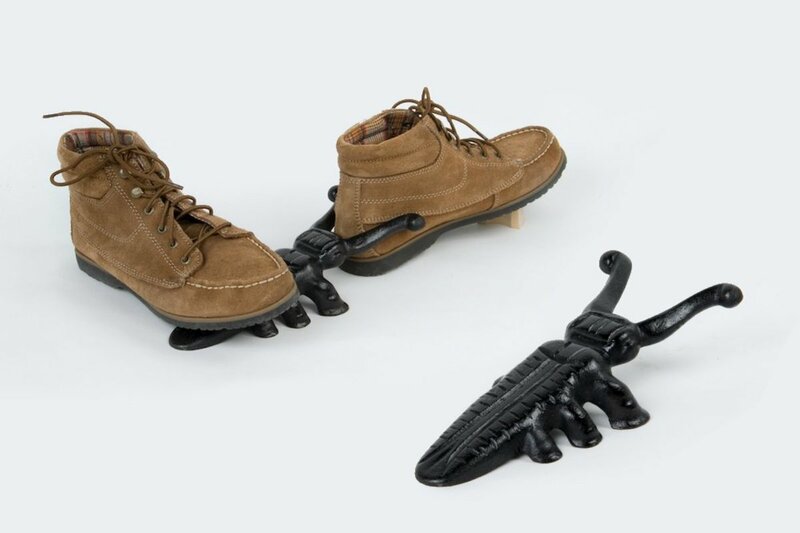 The elderly will find this little gadget handy for slipping off their boots or shoes before entering the house. 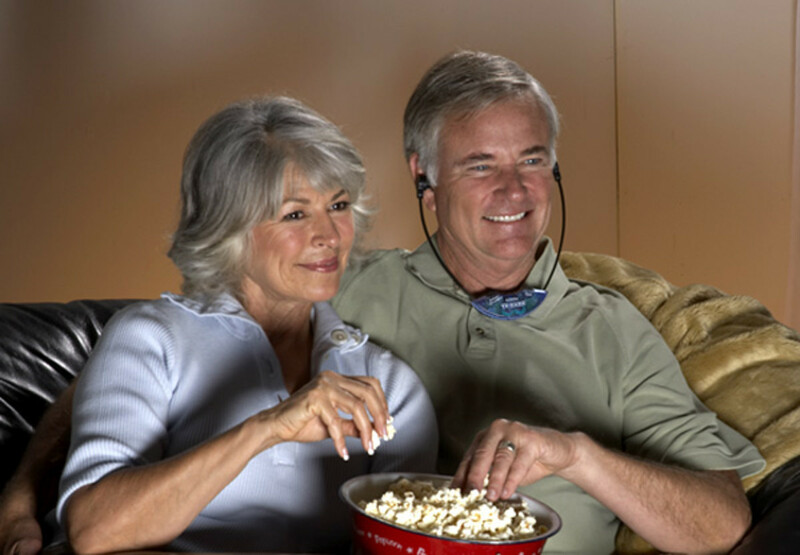 TV listening headsets wirelessly enhance the sound from your TV, so seniors can hear it more clearly. Watching television and movies can be such a pleasure as we get older. For older people who live with others, however, it can be difficult to negotiate a volume that works for everyone. An excellent gift that will allow people with hearing loss to listen at their own volume without disturbing anyone else is a TV listening device. There are a number of TV listening devices on the market that can help an elderly person hear the TV better, but the best options available today are the wireless radio frequency systems. There are others that use infrared technology instead of radio frequency, but they have a drawback that can be very annoying. An infrared signal is “line of sight,” which means a person needs to be in front of the transmitter, with nothing in the way, in order to hear the TV properly. If they turn their head to the side, to look out of the window, for example, they will lose the audio for a second. In comparison, a radio frequency signal can transmit through walls or obstructions. The Unisar TV listening devices are some of the best options, because they use wireless radio frequency digital technology (mono or stereo), which means that a person can walk into another room and will still be able to hear the TV. Another useful feature that a senior would appreciate in these devices is the built-in microphone that amplifies the sounds around you, thus, allowing them to also hear conversations in the room. Brain-training games are great gifts for elderly people. Just as everyone can benefit from exercising their body, brain training can help seniors improve their memory, awareness, reasoning, and other cognitive skills. Whether these games delay dementia is still unclear, but constant brain challenges are certainly better than just watching TV. A nice gift idea for an older couple that lives in the suburbs, or in an isolated rural community, is a home satellite radio. They usually don’t have as many choices, in terms of radio channels, as people living in big cities. With a home satellite radio they can enjoy tons of channels with, sports, news, talk radio, or their favorite music, especially if they spend a lot of time at home. 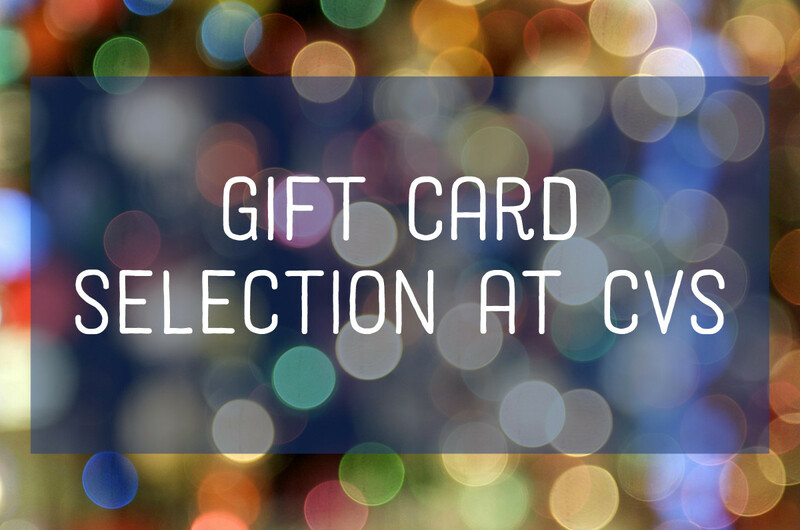 Giftcards to a favorite restaurant or store are always a great gift. Some people may feel that gift vouchers are impersonal, but older generations welcome them with open arms. 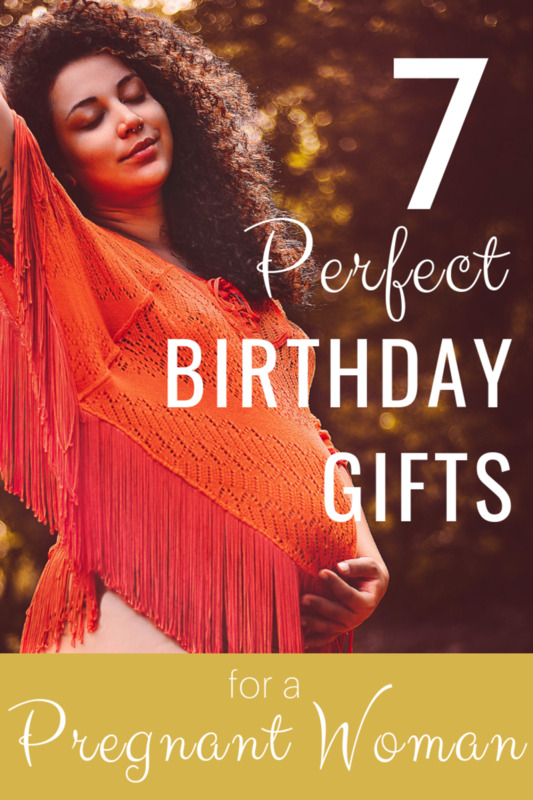 They are useful and most importantly, they are clutter-free gifts. If you have grandparents or elderly parents who are on a fixed income, get them pre-paid cards for their favorite restaurant or for the grocery store. Your parent or grandparent may say they don't need anything, but there are gadgets and tools to make their lives easier especially if they live alone. • Grocery or produce delivery. • Pay the newspaper or cable bill. • Breakfast or lunch out with a grandchild. • A prepaid phone card and a new phone book filled with family and friend's phone numbers. • Take their car for a wash and wax. • Pay someone to do their yard work. • Pay someone to clean their house every week. 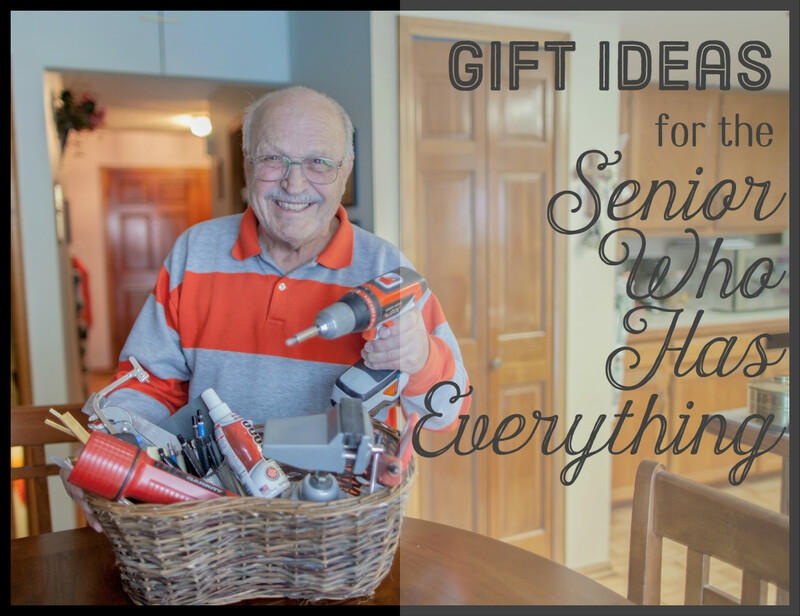 What do you think makes a great gift for a senior who has everything? I like the idea of giving experiences, like a meal or a special outing. 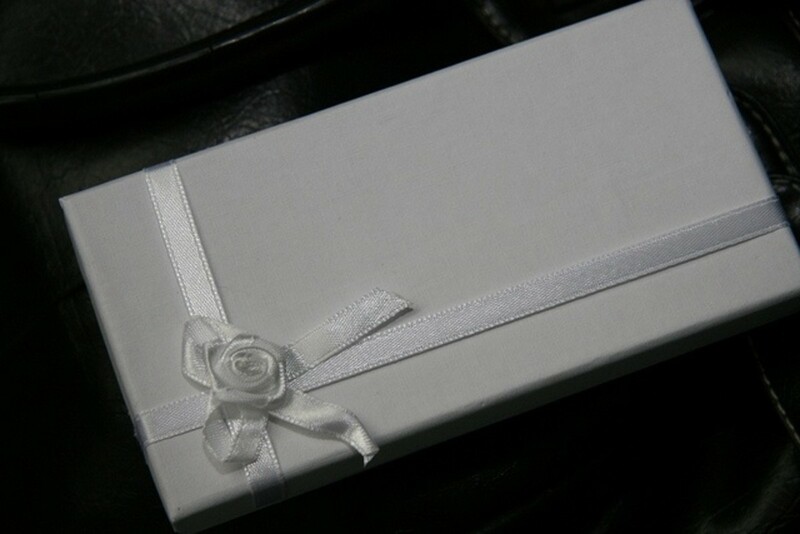 I like to give gifts that are physically helpful that make daily life easier. I worry about my mom and dad's safety at home alone, so I give gifts to keep them safe and in-touch. Wonderful ideas! May I suggest adding Marlena Books to your list? Marlena Books is a Canadian startup that makes specialized books for individuals living with dementia for recreation and cognitive engagement. We’re on a mission to get the word out about our books to make sure every Canadian living with dementia has something unique and meaningful under their tree this holiday season. What great ideas! Those garden benches are a real boon. I have 2 of them. In the kneeling position, the reversible legs make GREAT handholds to help you stand up again without losing your balance. In the seating position, you do have to be careful about level ground, and not get into mud or soft soil that could cause one end to dip down suddenly. Overall, though, these are great items. The cushion does make getting down on the knees far more comfortable. Thank you for this! Very helpful! My mom is 87 and doesn't need anything. She loves when I give her random things to try out. Natural products, organic foods, ect......... The pill box is on my list, and the grandparent book! Wonderful ideas. I really loved reading your blog. Thank you I love this. I just recently made an Amazon wishlist for people to donate to a local nursing home this year.